I’m so excited to announce this GIVEAWAY. As you can see I’m a huge Fujifilm Instax fan from previous blog post. It all started on my 18th birthday when I received my first FujiFilm Instax Camera which was the FujiFilm Instax 210. It’s seriously the best camera you can have. It’s great that it quickly prints out the photos. I wanted one that I could carry around in my purse and enjoy anytime, so I received the FujiFilm Instax mini which I carry around everywhere. My whole life revolves around this little camera and making moments happen. Actually, quite a few times it’s been the talk of the party and everyone leaves with a little piece of a simple memory. I love it especially around Christmas time because it makes every moment count and a little more special. 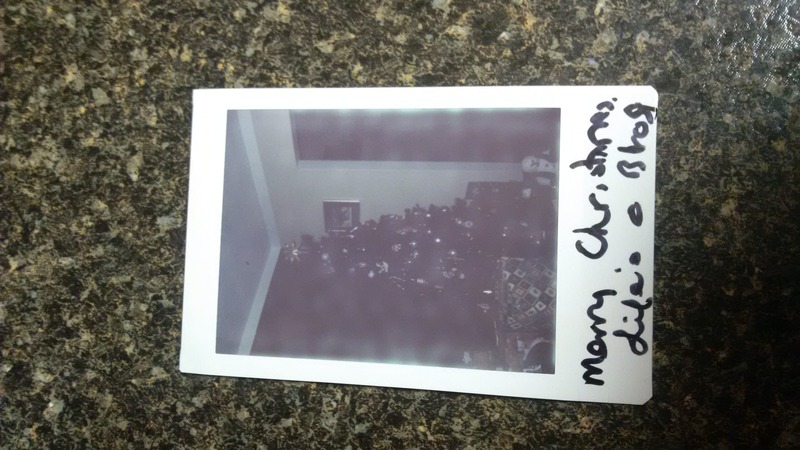 By hanging the little Instax photos around the tree, it makes everything so much more personal and enjoyable. Easy right? So, just tweet me already!